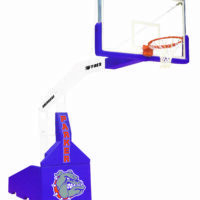 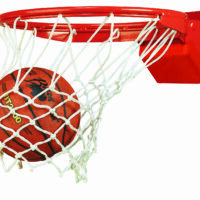 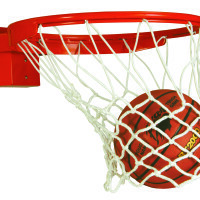 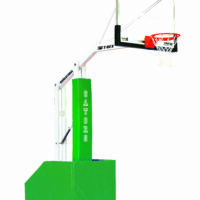 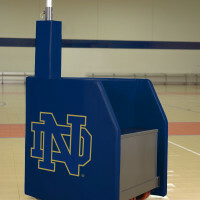 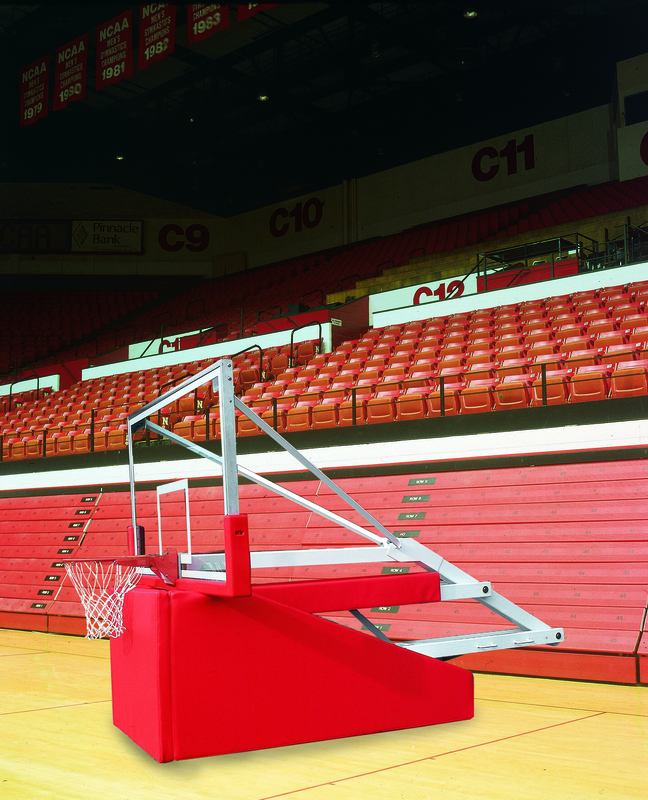 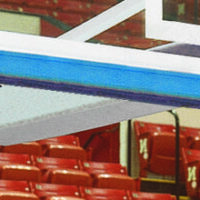 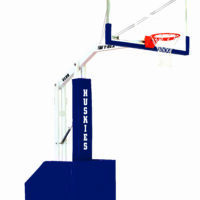 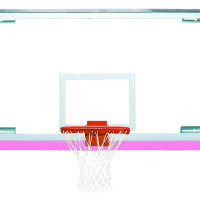 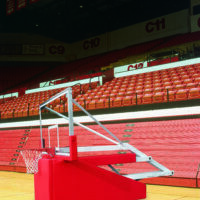 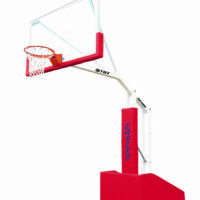 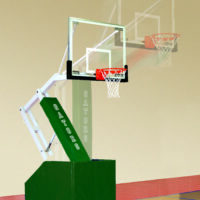 T-REX® Recreational Portable Basketball System for Indoor Use - Bison, Inc.
T-Rex Recreational is identical to T-Rex Club except the backboard is constructed of ½” thick clear, unbreakable polycarbonate instead of glass making it perfect for facilities where there is concern of vandalism or other activities that might threaten traditional tempered glass backboards. 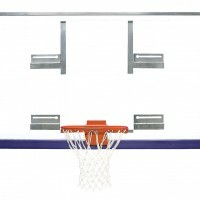 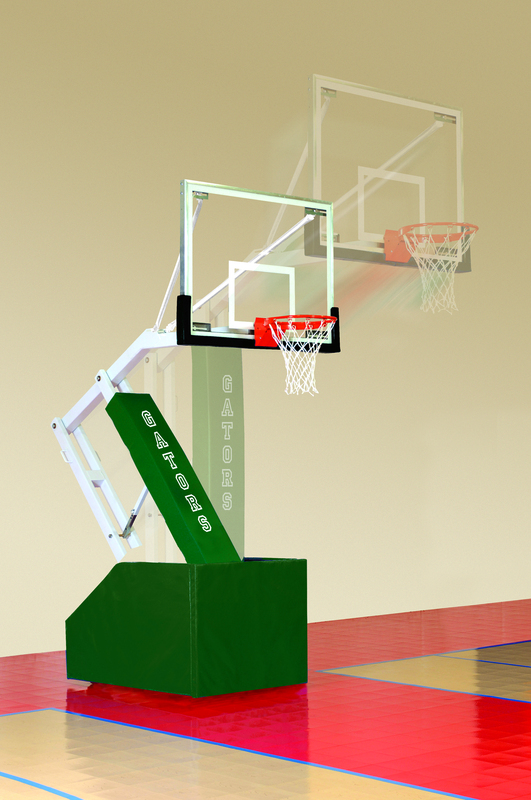 In addition, T-Rex Recreational comes with a locking device to eliminate unwanted and unsupervised raising and lowering of the basket. 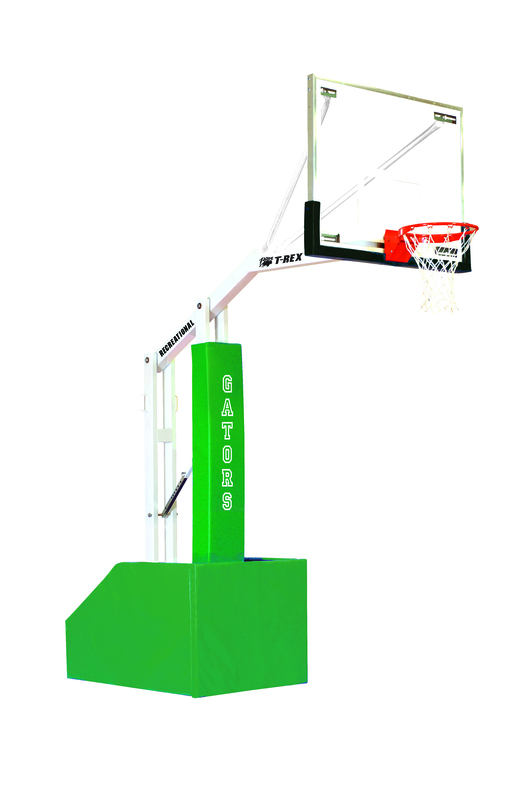 If your program intends to use T-Rex Recreational outdoors, order BA894USRO for an outdoor version of T-Rex Recreational that substitutes Bison outdoor backboard padding and weather resistant pressure treated plywood for OSB board as backing for the base padding system. 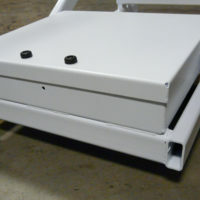 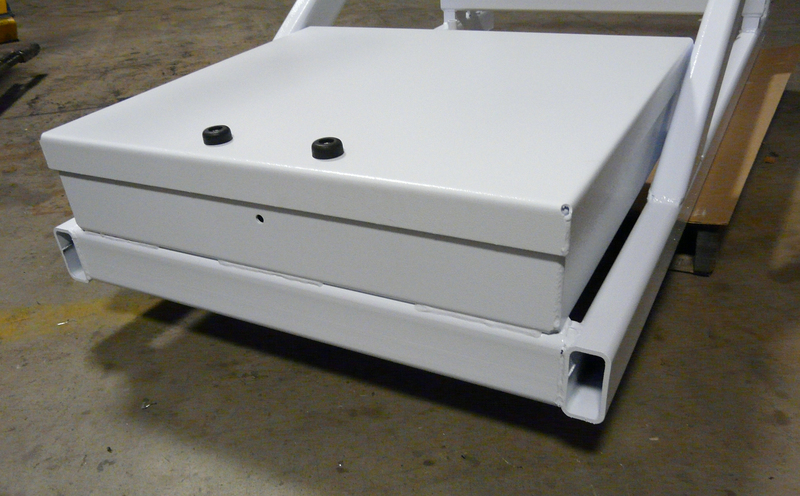 In addition, BA894USRO includes a security lock system to insure that the unit cannot be lowered and rolled from its installed location without authorization.